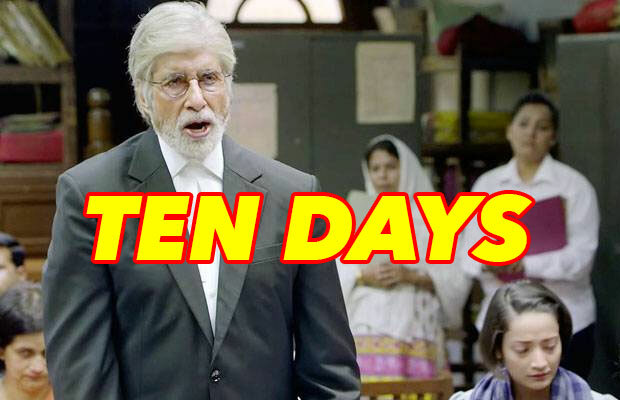 ‘Pink’ starring Amitabh Bachchan, Taapsee Pannu, Kirti Kulhari and Andrea Tariang in main leads is termed as a surprise hit at the box office. The film did not have any viral publicity or hit songs at the chartbusters. The movie was hardly even promoted to the masses. It was assumed that ‘Pink’ will do moderate business at the box office as it was not a film for the masses. Amitabh Bachchan’s fan following was a boon for the film but the movie gained all the high numbers for its brilliant execution and meaningful concept. The film explored the various stereotypes and preconceived notions about girls living in metropolitan cities. The movie was a triggering one by all means. Moreover, the performances in the film were applauded. All the characters in the film impressed the viewers and that gave rise to unbelievably positive word of mouth publicity. The film started on a low note at the screens but with amazing reviews, it went on to gain amazing viewers and numbers. The film has now crossed the mark of 50 crore net approx. at the box office in ten days. The film’s collection in the second weekend was Rs. 14.50 crore net approx. and its first-week collection was Rs.35.51 crore net approx. ‘Pink’ has made a phenomenal record in Mysore with 5 crore net approx. It has gained the titled of the highest grosser of the year in the stated circuit after ‘Sultan’ and ‘Airlift’. Previous articleDid Salman Khan Refuse To Cast Fawad Khan In His Film? Next articleBreaking: MNS Workers Protest Outside Karan Johar’s Office, Police Beef Up Security!